Located within 20 miles of Uptown Charlotte, Lake Norman was created between the 1950s and ’60s during the construction of Cowans Ford Dam. This expansive lake is North Carolina’s largest man-made freshwater body. Diverse communities have sprung up since the 1960s along Lake Norman’s 54 miles of shoreline. Activities such as boating and jet-skiing are possible upon the lake’s surface, meaning the area is also a popular tourist destination. An abundance of attractions can be found in the Lake Norman shore towns of Cornelius, Davidson, and Huntsville. Many attractive homes dot the landscape, including luxurious waterfront properties. All three communities enjoy a mild year-round climate with four distinct seasons. Cornelius is an inviting small town with a range of activities and amenities that far outstrip its size. This is a place where it’s possible to play a morning round of golf, go hiking, jet ski across the lake, and finish the day off with an upscale meal, followed by a concert or theater production. Ramsey Creek Park is located in Cornelius, with a public launch ramp that makes this is a popular hub for watersports on Lake Norman’s surface. This relaxing park is very pet-friendly, with a off-leash dog area located within it. Cornelius is also home to Holiday Marina. As well as providing residents with a place to store their boats, Holiday Marina is located beside Hello Sailor, voted America’s best new restaurant. Davidson is one of the oldest communities of Lake Norman’s shores. Founded in 1837, this community existed long before work began on Lake Norman’s construction. The Presbyterian Davidson College has been here since the community was first established, and the college’s influence contributed greatly to Davidson’s growth through the 19th and 20th centuries. The College is the site of many community events, with other popular annual gatherings including summertime Concerts on the Green. 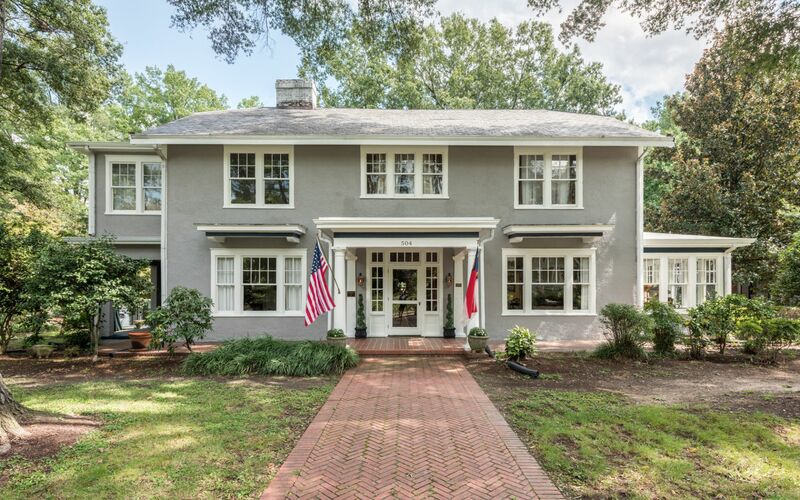 Davidson’s historic core belongs to the National Register of Historic Districts. This includes a quaint downtown area, full of specialty shops and wonderful restaurants. Main Street favorites include The North Harbor Club and Brickhouse Tavern. Along with many unique local businesses, Davidson’s residents enjoy access to several larger supermarkets. Davidson’s abundant green spaces includes several parks and a golf course. This is also considered a bike-friendly destination, with miles of trails stretching out into the surrounding area and connecting to the Carolina Thread Trail. North Harbor Marina is located within Davidson, providing residents with easy lake access. Huntersville is the largest and most historic of Lake Norman’s towns, with a population of 52,704. There are many businesses situated within this thriving community, while it still retains the closeness to the outdoors of other Lake Norman communities. There are excellent opportunities for golfing and other outdoor activities within Huntersville. North Mecklenburg stretches over 98 acres, with an abundance of trails, sports fields and courts, and playgrounds. Blythe Landing is another wonderful green space, which also has a public ramp providing access to Lake Norman. Stevens Road Nature Preserve is easily accessible from Huntersville, providing miles of relaxing trails and unspoiled scenery.